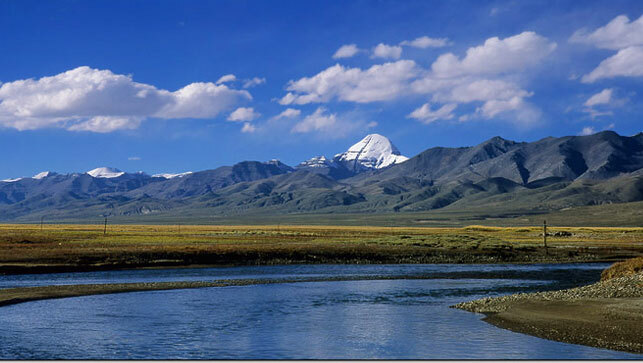 Tibet, known to most as the ‘roof of the world’, lies on a plateau at an average altitude of 4,000 m above sea level. The land and the sky are potent with spiritual energy and shrouded in mysticism. In addition to being home to Mount Everest, Tibet also hosts Mount Kailash – the sacred abode of Lord Shiva, according to Hindu mythology. But Tibet is more renowned for Buddhism, or rather as one of the spiritual epicenters of Buddhism. The entire plateau is dotted with exquisite monasteries, palaces, and mountain shrines. If you are planning to travel to Tibet, snow-capped peaks, desolate steppes, rugged valleys, and high-altitude glacial lakes should all be on your checklist. Tibet is also home to eleven 8000-m peaks, mostly on the borders with Nepal, India and Bhutan. The majority of the tours going to Tibet are physically challenging. This is mainly due to the consistently high altitudes along which tourists will be travelling. The terrains can be rough as well. But the amazing views of snow-capped mountains and Tibetan landscapes, along with the experience of monasteries and Tibetan Buddhism make up for all the hardships. Far Out Nepal has been operating various tours and treks in Tibet for years. Although we are based in Nepal, we have built up a lot of intimate local knowledge. If you would like to travel with us, please send us an email and we can put together a package for a good value.